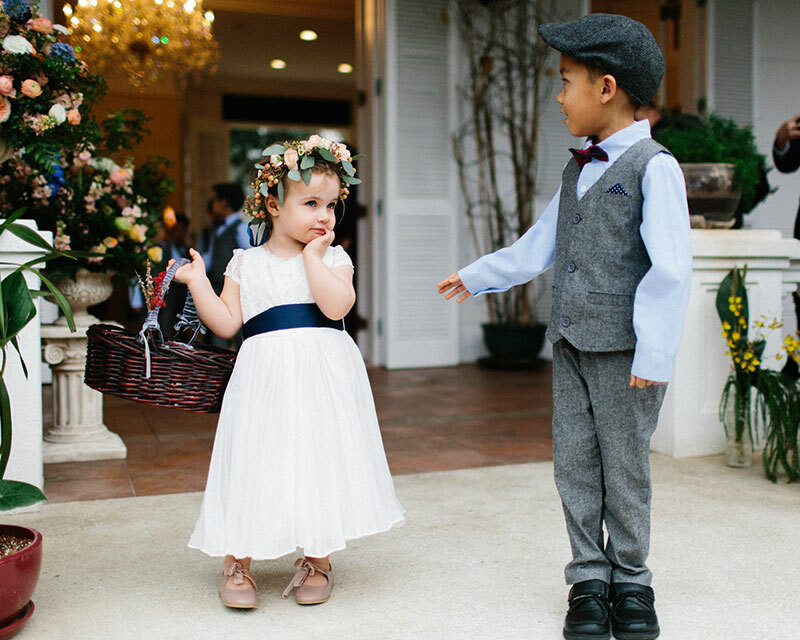 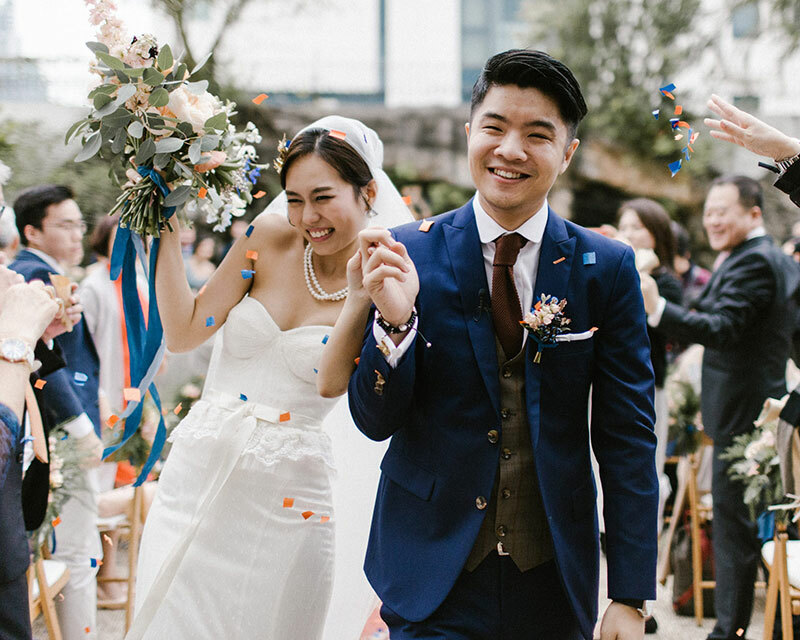 Today’s wedding is a mix of everything–classic elegance, family traditions, and loads of fun. 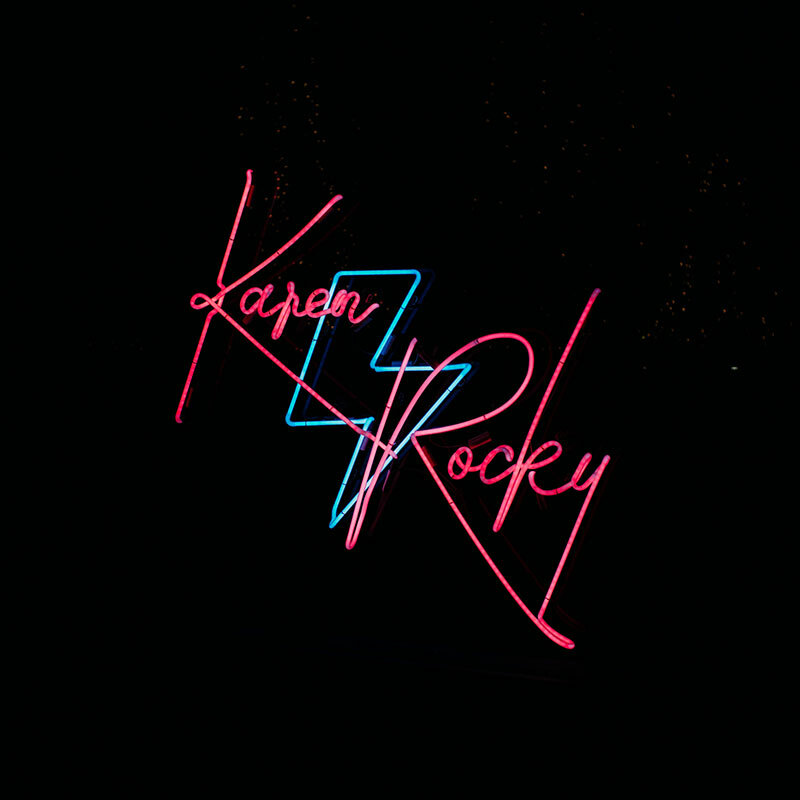 Karen and Rocky decided to celebrate their special day in style and still uphold family customs. 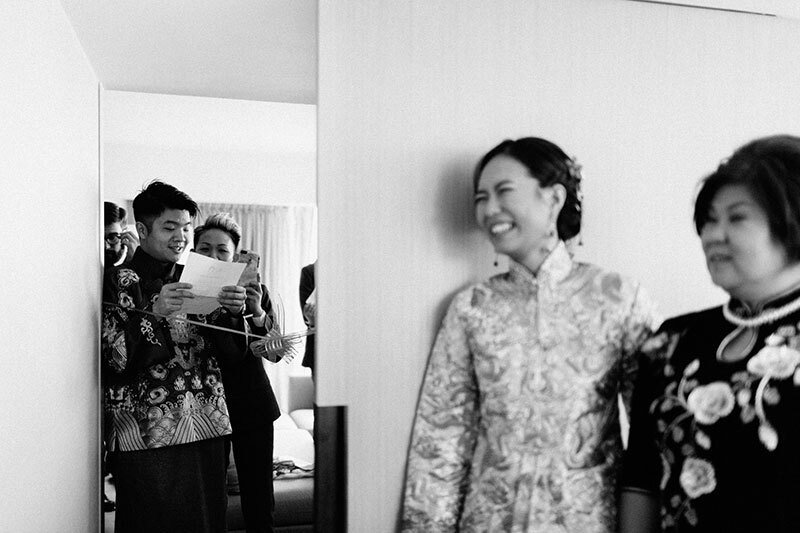 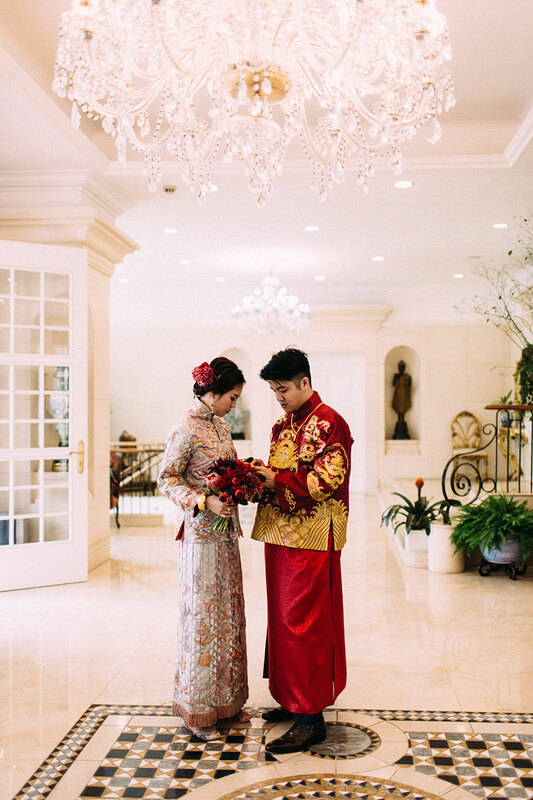 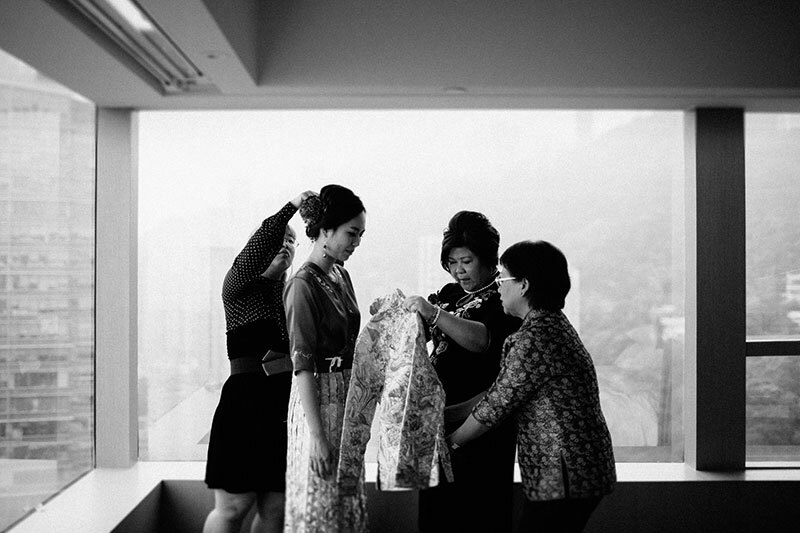 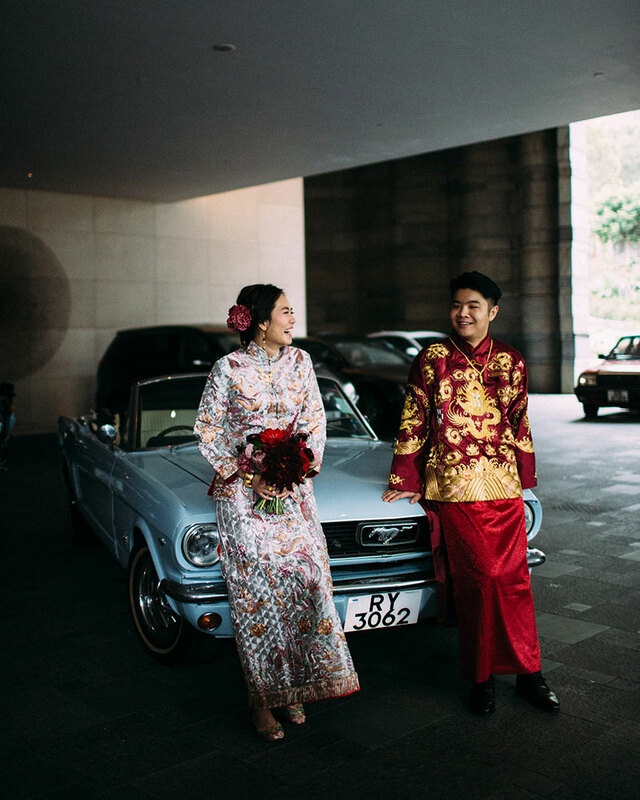 For their Chinese pre-wedding activities, the couple wore traditional garments with Karen keeping a beautiful red bouquet in hand. 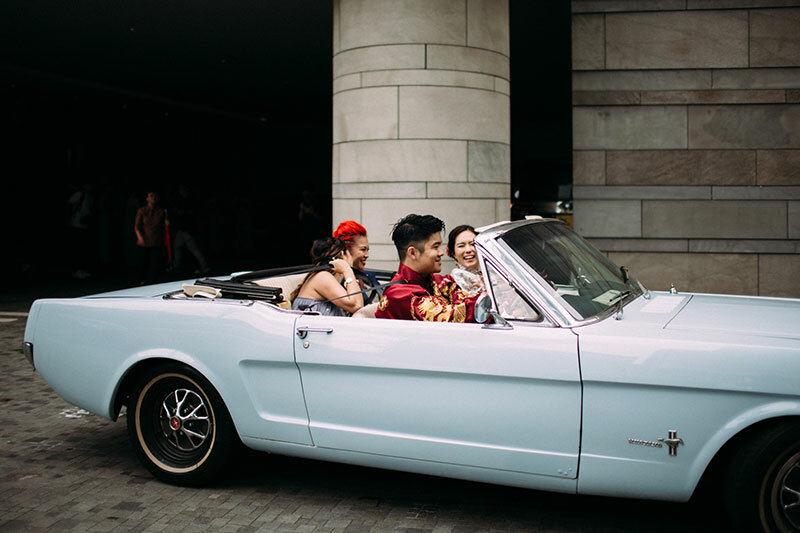 After the door games, Rocky picked up his bride in a cute blue convertible–what a way to sweep the bride off her feet! 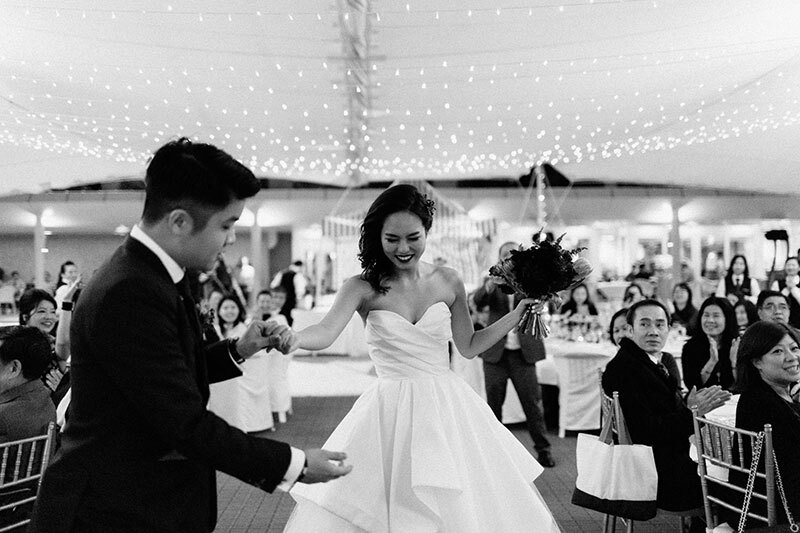 The ceremony and reception details are just about as captivating and entertaining. 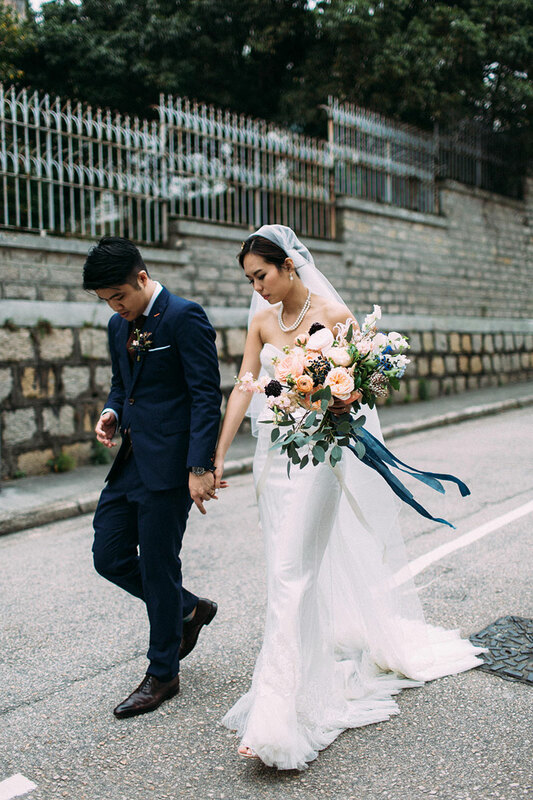 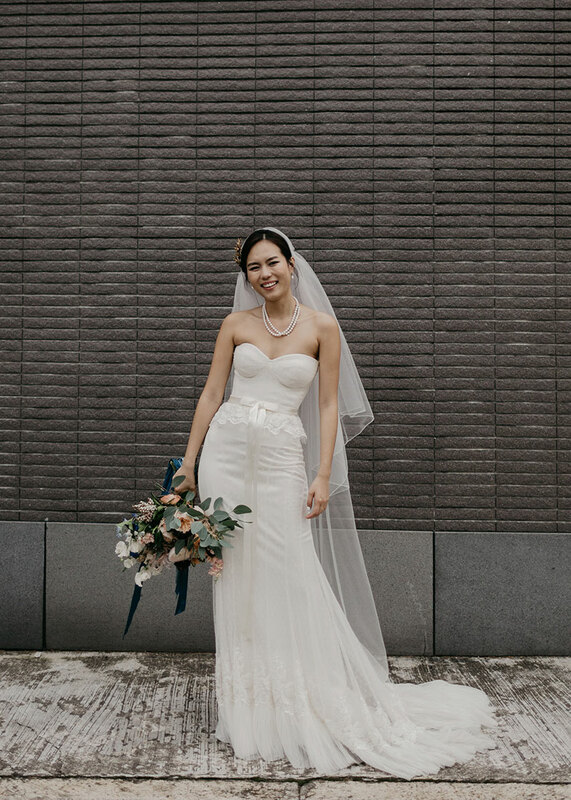 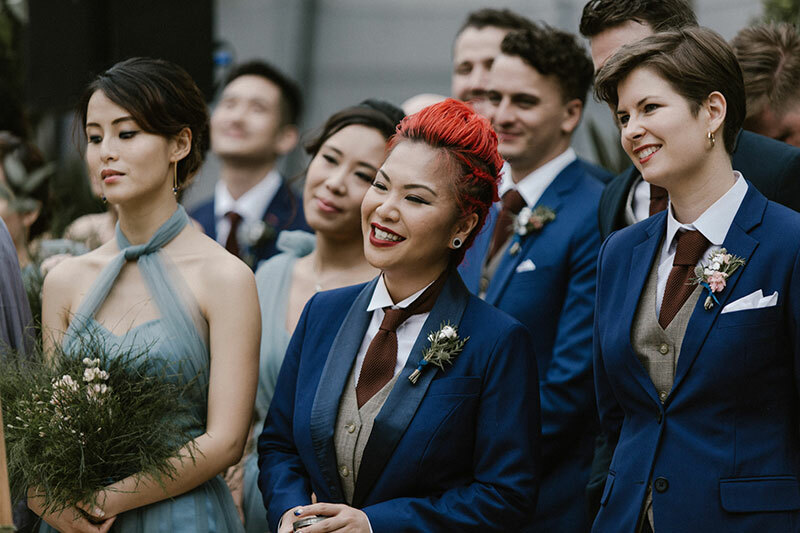 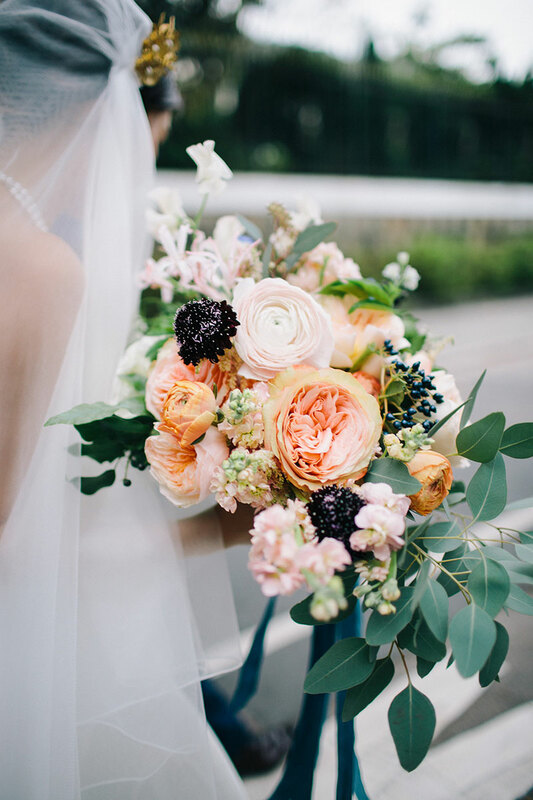 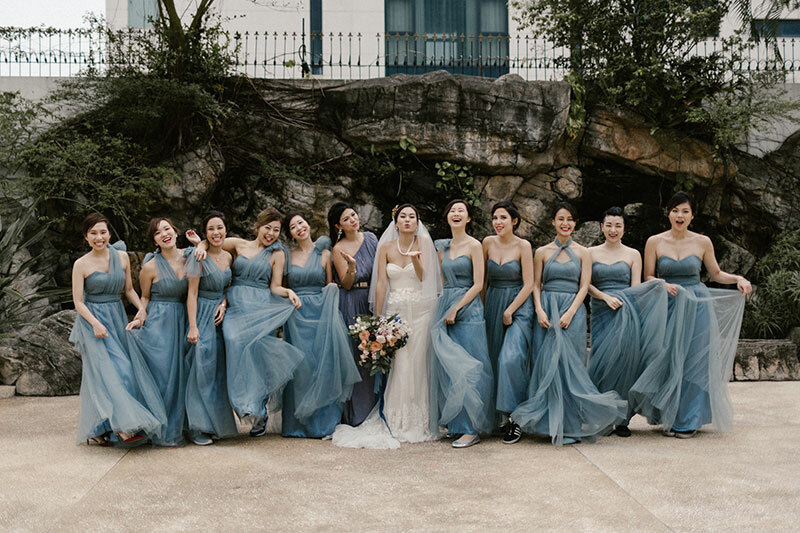 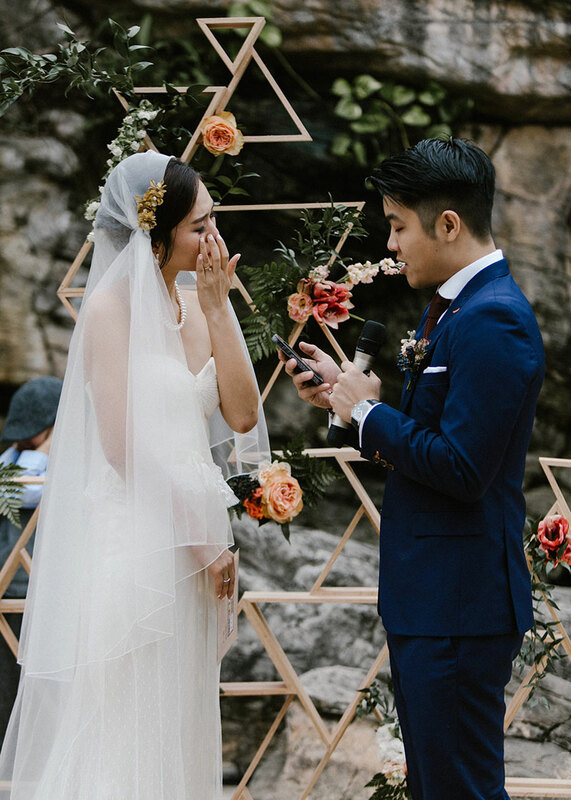 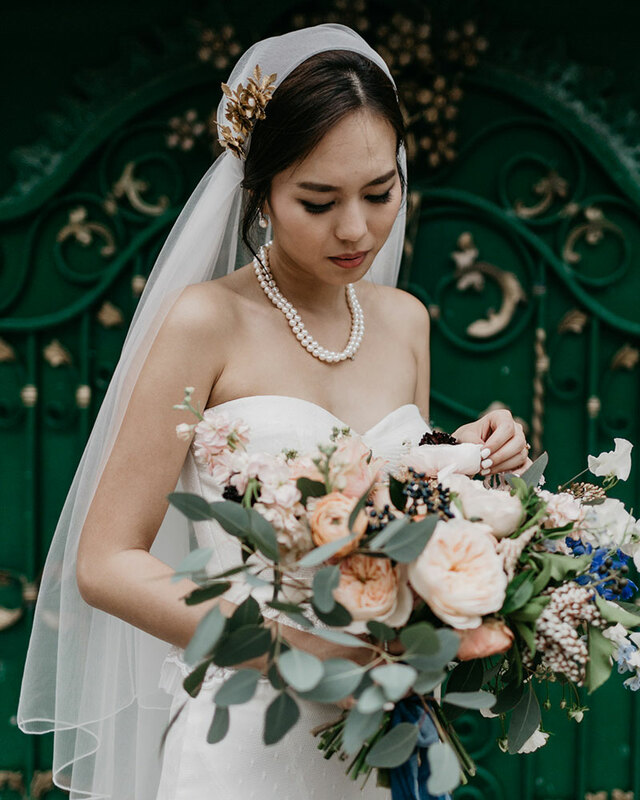 Karen changed to an utterly romantic Galia Lahav gown that hugged her feminine form perfectly, and mix of dusty blue, navy blue, and teal paired with peach flowers was an ingenious style choice. 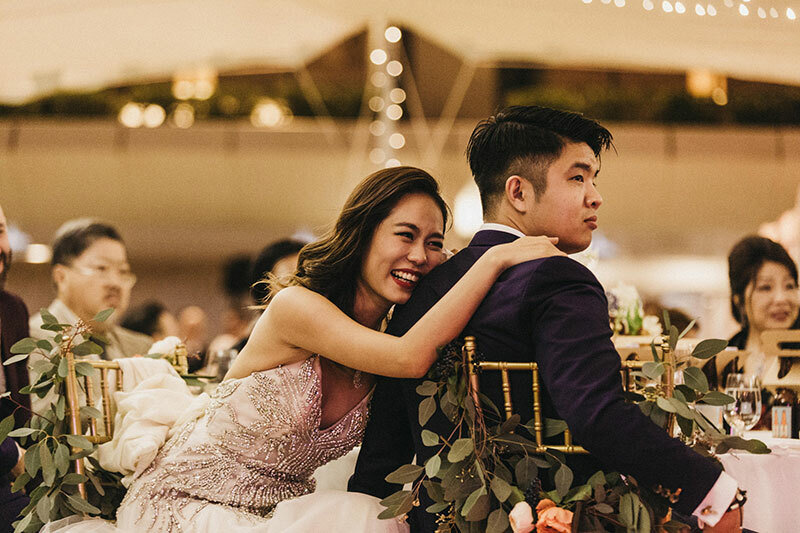 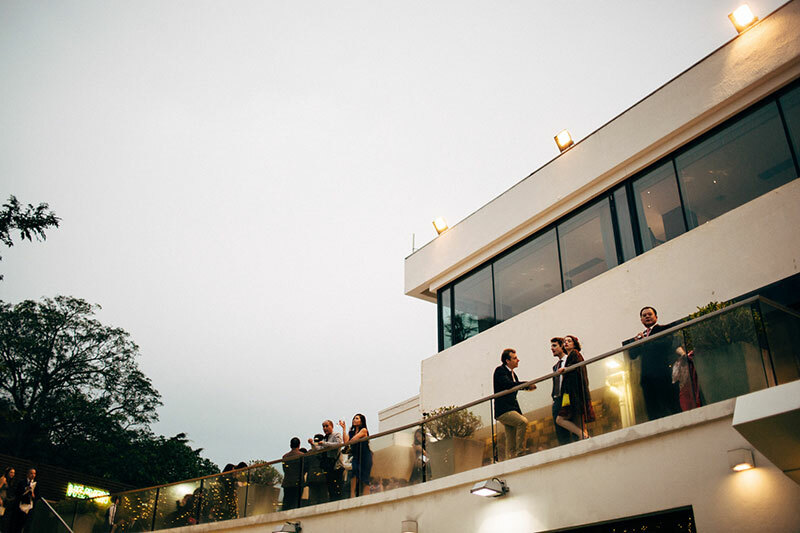 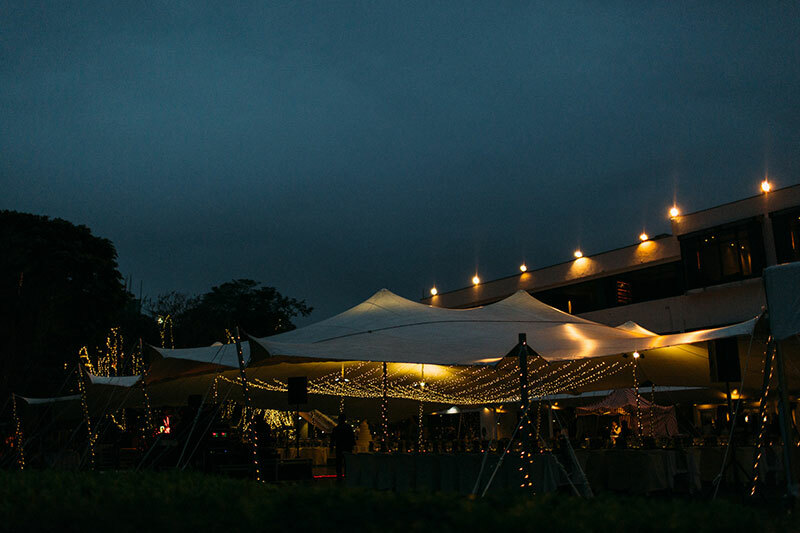 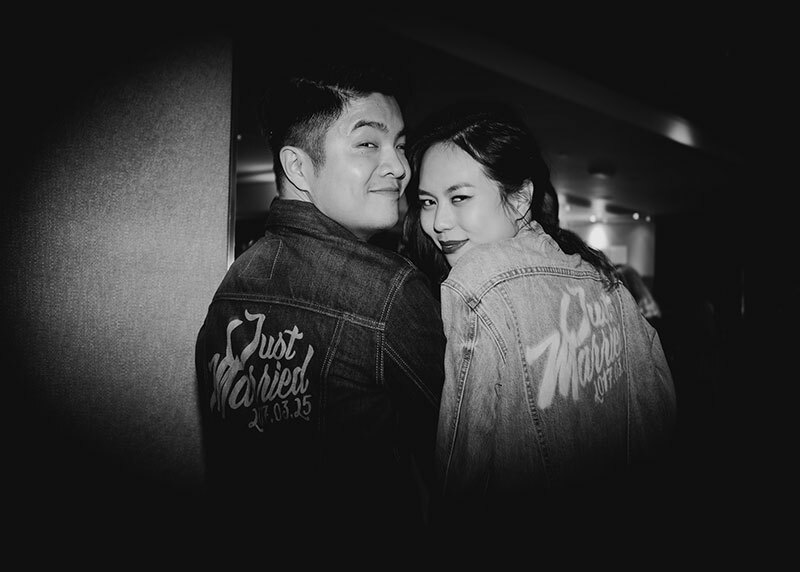 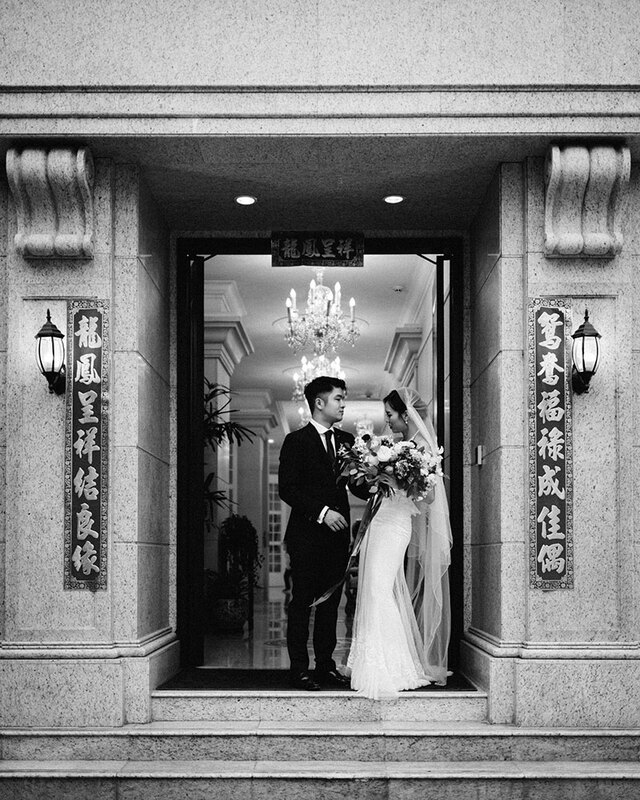 Finally, the reception at Hong Kong Country Club that followed featured their names written in neon lights and an after party that had everyone dancing the night away! 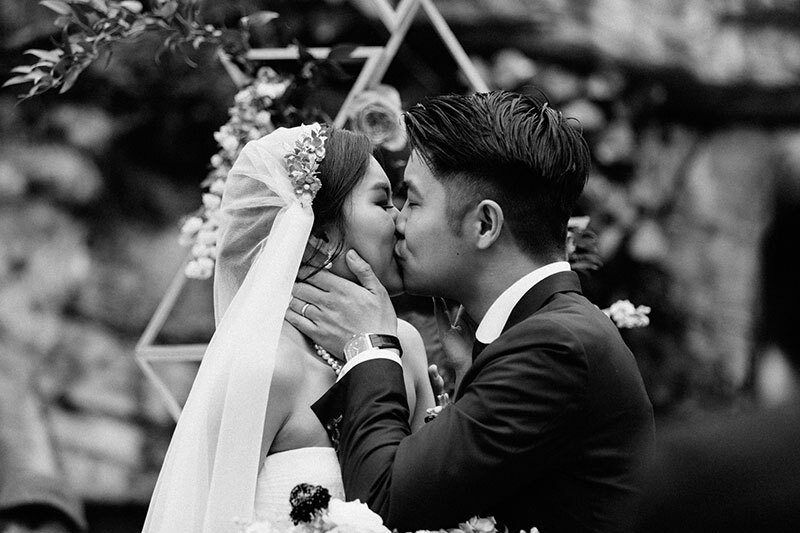 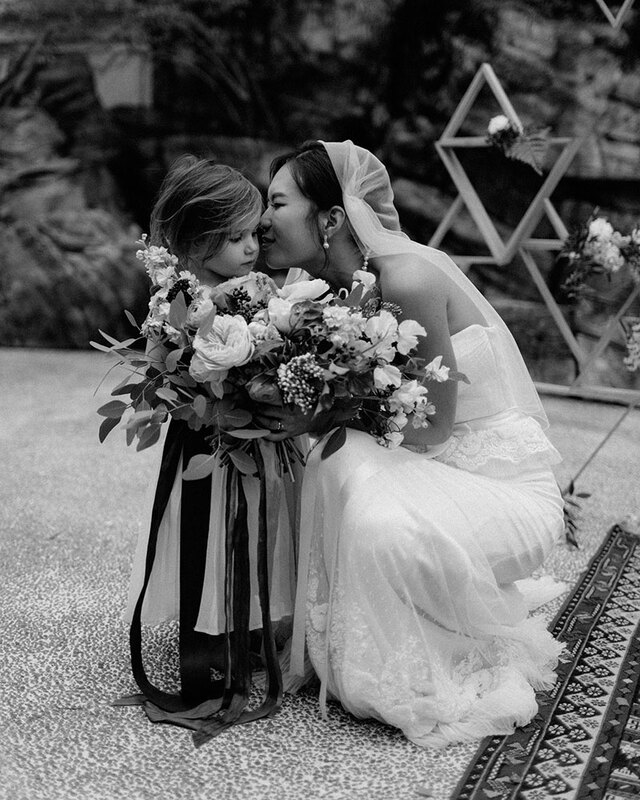 See all of the snaps by Carter and Rose of this gorgeous wedding now. 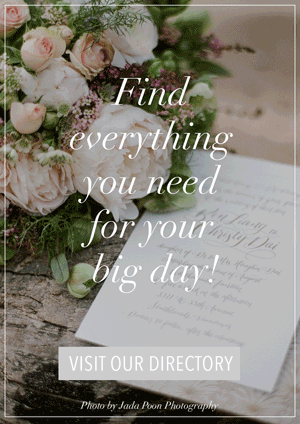 Scroll on! 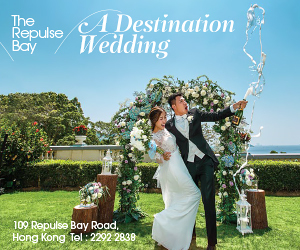 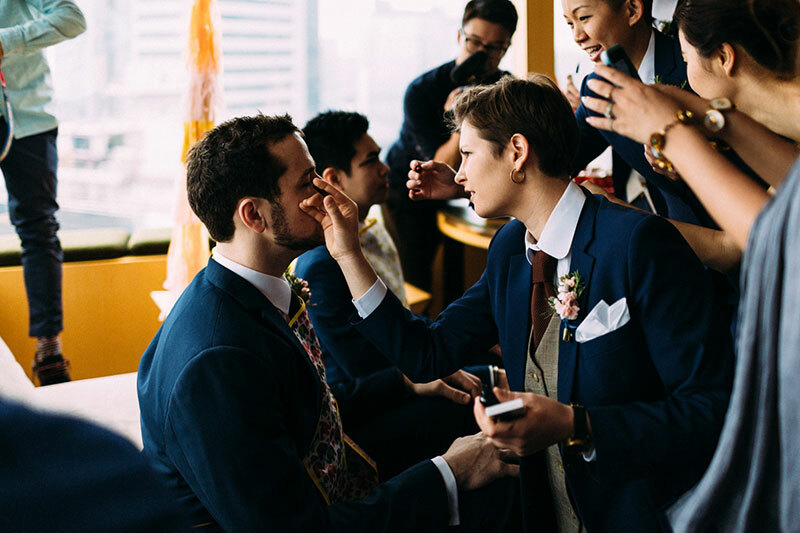 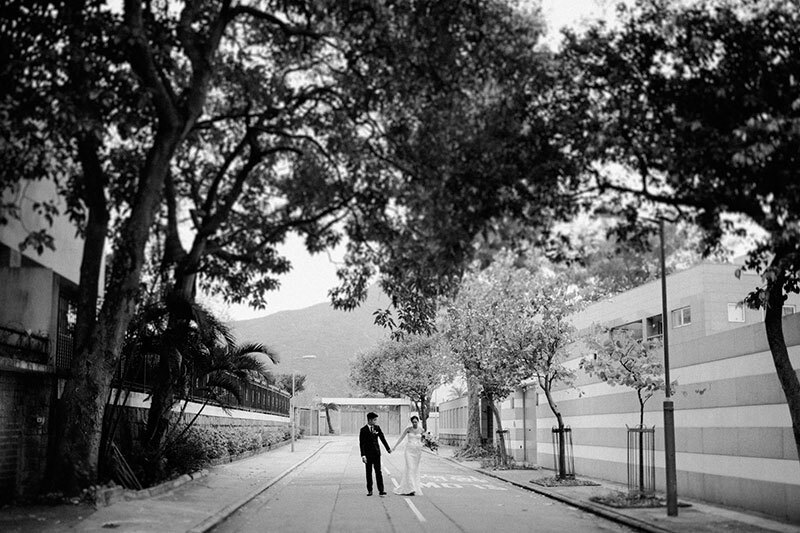 Photographer: Carter and Rose / Videographer: Supfilm / Ceremony Venue: Groom’s home / Reception Venue: Hong Kong Country Club / Bride’s Dress: Galia Lahav from Audella Bridal / Bride’s Shoes: Bella Belle / Bridesmaid Dresses: Tailor made / Groom’s and Groomsmen Attire: HOLA / Makeup Artist and Hair Stylist: MakeupBees by Karen Yiu / Bouquets, Flowers and Decorations: Flos on the Folk / Event Stylist, Invitations, and Calligraphy: Kith and Kin / Illustrator: Sara Gelfgren / Catering: Little Bao HK / Accessories: Michelle Oh / Jewelry: Mikimoto / Bands: Haza Chan, Groovie Production / Host: On Air Collective, Kith and Kin / Favors: Young Master Beer / Wedding Planner: Palette Co.
Shop the look of this wedding now! 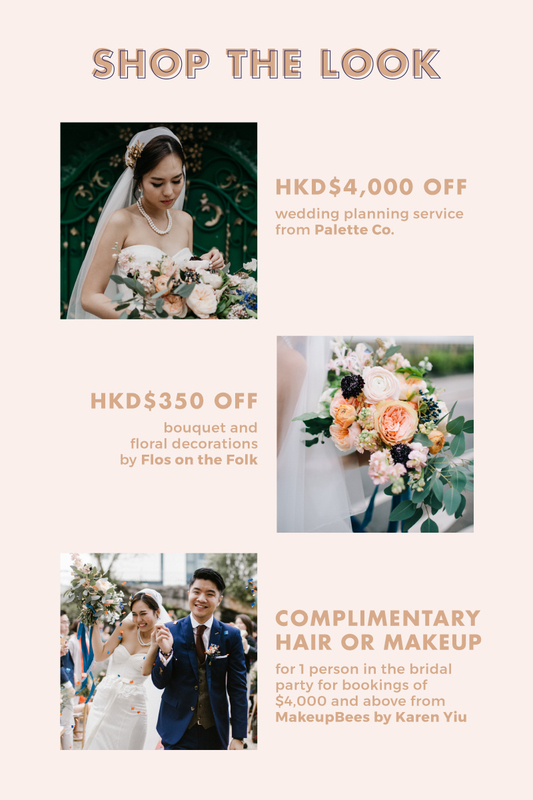 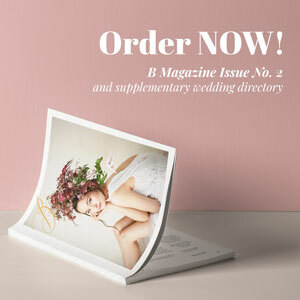 Below are some exclusive deals from the same vendors of this wedding! 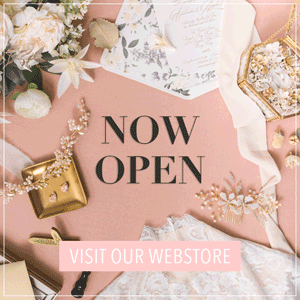 Click here to shop now.